Designed to be used with a brush, but can be used brushless as well. 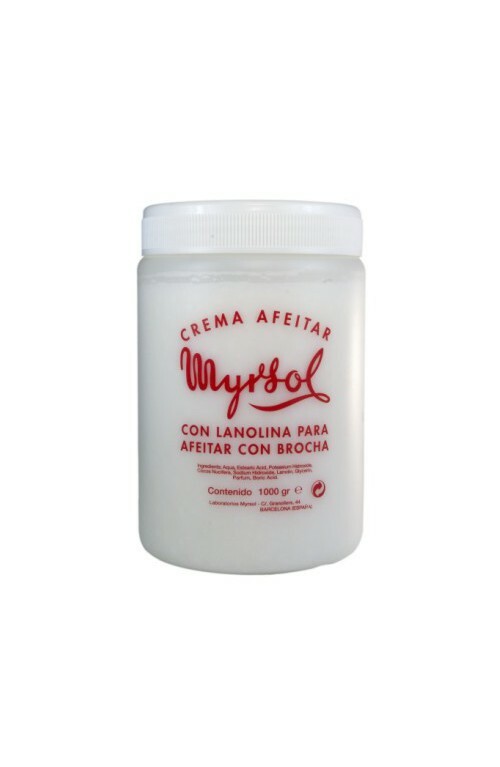 Myrsol shaving cream with lanolin and glycerin for a moisturizing shave. This semisolid cream is used by barbers in Spain with more years of profession. Its excellent composition (lanolin, glycerin etc.) and manual production, make a special product just to "connoiseurs". Just a small amount to get a pure foam with a gleaming white and the smell (more soap than cream), reminiscent of decades in time. With natural Lanolin to help keep the skin soft and supple, this shaving formula works into a smooth lather with a creamy lemon fragrance. Discreetly scented, fresh and citrusy.